One should always be slightly skeptical when one hears about a catering company doing BBQ. 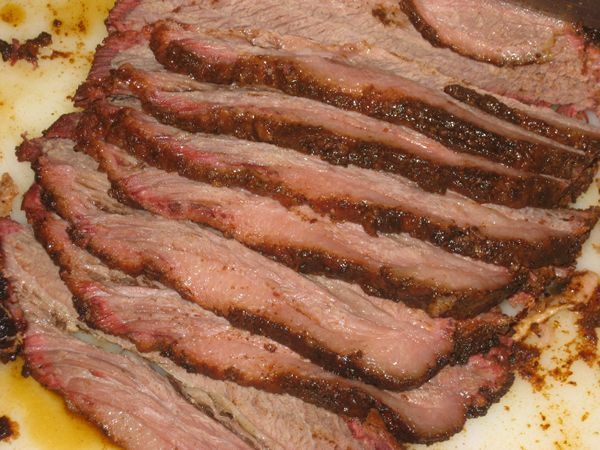 Real BBQ requires slow-cooked meats, and when you think about catering, you think of tons of mass-prepared food. The two concepts seem like they might be mutually exclusive. But local caterer Classe Catering is doing what they can to blend the two concepts seamlessly with their new “Big Kahoona BBQ” line. The MHK was fortunate enough to be present at their launch party yesterday evening, and we were able to sample many of the Big Kahoona offerings. The first plate we tried had a couple of the Zesty Chicken Wings, chili, skillet cornbread, and baked beans. The wings were very good – the sauce was full of flavor and actually had a little spice to it. The chili was pretty bland and uninteresting, and the beans were standard. The cornbread was pretty good – fairly moist with little corn kernels inside. The next plate had “Chef’s Mac N’ Cheese” and creamy coleslaw. The pasta was good – it could have used a little more creamy texture, but the seasoning was there. The coleslaw was as advertised – creamy. It was decent enough – nothing special, but nothing bad either. The third plate featured the best items of the day – 24 hour smoked pulled pork and smoked brisket. The pork was super moist and had a lot of flavor. The brisket was beyond tender, falling apart at the touch of the fork (and a plastic fork at that). It had a nice thin layer of fat around the edge that was also very tender. Neither of the dishes needed the two BBQ sauces provided, but we tried them anyway. One was advertised as a “Dr. Pepper” sauce – it was vinegar based and thin in texture. It had a little spice to it but the Dr. Pepper flavor was not very detectable. The other sauce was thick and sweet, and complimented the pork nicely. The final dish of the night was the “Big Kahoona Burger.” It was nothing more than a cheeseburger topped with grilled onions and slices of grilled pineapple, with a “spicy” remoulade (it wasn’t spicy at all). The burger tasted extremely average, and the pineapple didn’t really work with it, but it did taste great on its own. Overall, Classe has done an impressive job making slow-cooked meats portable and plentiful for a hundred people or so. Skip the burgers, but the other items seem like they will be worth your while. It’s a nice alternative to the usual catering fare. Enjoy.